On April 13, 2013, we started with our first Kickball Pickup game. 30 amazing people joined us and now we want to continue to grow our community of active adults in Waco. Texas Sports & Social Club-Waco pickup games are open to players of all skill levels in the community! Learn more at TXSportsWaco.com. 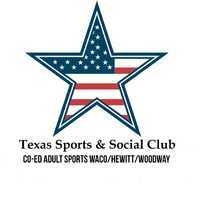 Texas Sports & Social Club-Waco also organizes leagues and events for year around at many locations around Waco, bringing together players from Waco and our surrounding communities. Join Open, and Coed at TXSportsWaco.com/leagues. Welcome to our New place for Pickup games! I'm looking to go running with other runners. I'm looking to play ultimate with others. Looking to join Flag Football group. Looking to join Futsal or Indoor Soccer group. Looking to join Dodgeball group. I’m looking to play any position.